Gillian has a reputation for thought leadership and a collaborative consulting style, balancing both the needs of her teams and clients to ensure all prosper. 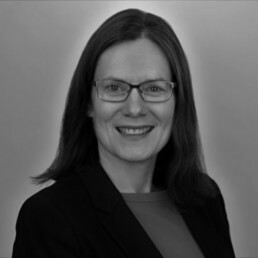 From a range of demanding and progressive roles, Gillian has developed extensive financial and regulatory knowledge, strong consulting, stakeholder management and leadership skills. As Incremental’s Dynamics 365 Business Central Director, she is responsible for developing and growing a high performing Business Central practice in line with Incremental Group’s strategic objectives. Gillian was previously Head of Business Consulting and a member of the leadership team for a software solutions provider that specialised in data management, financial controls and regulatory reporting. As a chartered accountant with over 20 years’ experience working in the financial services sector leading finance and regulatory teams, Gillian has first-hand experience of the positive impact digital transformation has on businesses. This combination of financial experience and insight of technology solutions allows her to support customers to embrace automated solutions and fulfil their potential. Meet our Data and AI Director and discover our Intelligence services.